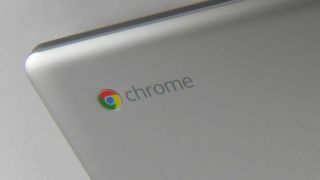 The first Qualcomm powered Chromebook? Snapdragon processors surprisingly came to Windows 10 laptops before Chromebooks despite the fact that the latter can now use Android apps, but there might soon be a Snapdragon 845-powered Chrome OS machine to rectify this. Supposedly a new 2-in-1 tablet named ‘Cheza’ is in the works, according to XDA developers who discovered some early code in Chromium. About Chromebooks dug a little deeper into the rumored device, and it claims the device will feature a 2,560 x 1,440 resolution display, plus support for USB-C and a detachable keyboard, like the Surface Pro. Chromebooks in the past have featured CPUs from the likes of Intel, Rockchip and MediaTek, but this would be the first to feature a Qualcomm processor. Aside from being a debut Snapdragon 845 device, Android apps have all been optimized for Qualcomm’s chips, so ‘Cheza’ could be one of the best Chromebooks to run mobile apps. It could also be one of the first always-connected Chrome OS devices, thanks to Snapdragon 845’s chipset including an integrated LTE modem. That said, we’re waiting for some more information (such as a brand attached to this mystery Chromebook) and an official announcement before we put too much stock into these rumors. Could this 2-in-1 Chromebook be a shoe-in for our best laptops?